Caitlin and Hampton had a dreamy military wedding at Saint Pauls Episcopal church in downtown Wilmington over Christmas. 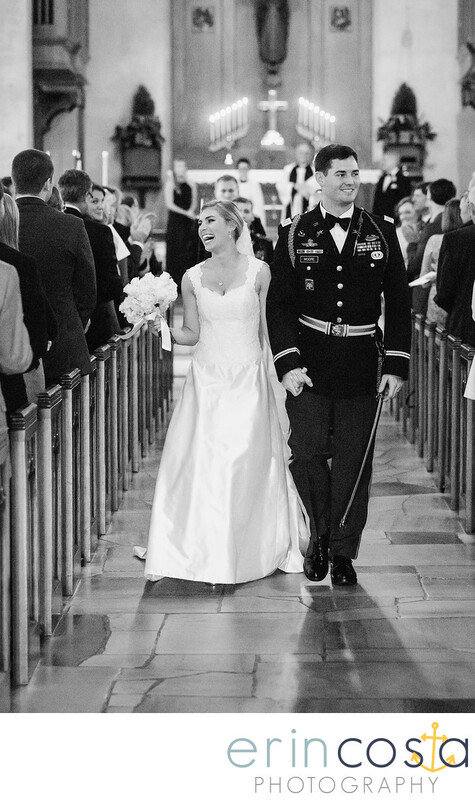 From the men in military uniforms to the beautifully decorated Christmas trees in the church, it truly was a magical wedding, complete with a saber sword exit. Here are Caitlin and Hampton happily making their way back down the aisle at Saint Pauls Episcopal church as husband and wife. Location: Saint Pauls Episcopal Church, Wilmington, NC.